We have released the genie from the bottle: climate change is coming, and there’s no stopping it. The question, according to environmental economist Matthew E. Kahn, is not how we’re going to avoid a hotter future but how we’re going to adapt to it. 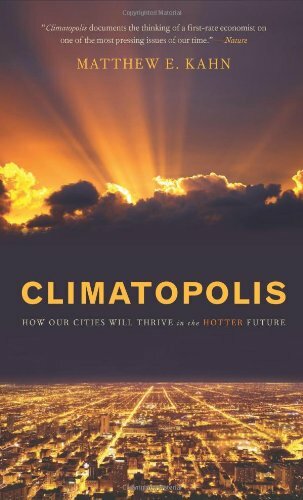 InClimatopolis, Kahn argues that cities and regions will adapt to rising temperatures over time, slowly transforming our everyday lives as we change our behaviors and our surroundings. Taking the reader on a tour of the world’s cities from New York to Beijing to MumbaiKahn’s clear-eyed, engaging, and optimistic message presents a positive yet realistic picture of what our urban future will look like.